Instantly Illuminate Any Dark Spaces with an Effective Motion Detecting LED Night Light by GOBULB! How many times have you tripped and fallen while trying to make your way down the stairways in pitch dark? And how many times have you feared for your child’s safety during their middle of the night trips to the bathroom? Whether for your hallway, staircase, bathroom, bedroom, kitchen this high-performance LED night light will keep you safe from night accidents! 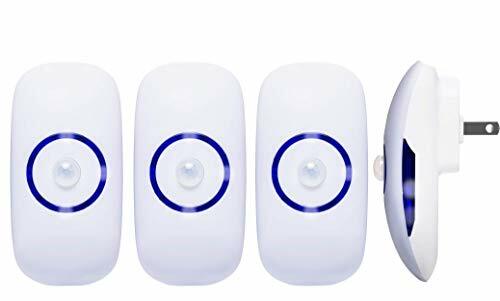 Why This Light is for you: With an appealing design that will look great in any room décor, this smart PIR motion sensor night light is an elegant and affordable way to guide your way at night without turn on light and disturbing your spouse or kids! Multipurpose use: The wonderful thing about this light is its multipurpose role just by plugging it where it can detect motion you can light up any dark location like your garage, attic or shed without having to look for the switch in the dark! Since the light only turns on while detecting motion try to install it according to where it will have the most access to sense motion! Gobulb will always be committed to your 100% satisfaction! 【Why GOBULB】: 60 Day money Back and 2-Year Replacement Warranty - Lifetime support guarantee! If you have any questions about this product by GOBULB, contact us by completing and submitting the form below. If you are looking for a specif part number, please include it with your message.